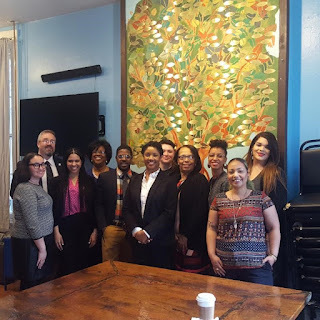 Senator Robert Casey sponsored the Runaway and Homeless Youth and Trafficking Prevention Act (S.2571), and he signed onto the "Dear Colleague" letter urging greater support for programs serving children and youth who experience homelessness. The next action is to urge Senators Casey and Toomey to sponsor the Homeless Children and Youth Act (HYCA), S. 611. HCYA is bi-partisan legislation that reforms HUD Homeless Assistance to meet the needs of homeless children, youth, and families. It allows some of the most vulnerable homeless families and youth - those staying with others because they have nowhere else to go, and those staying in motels - to be eligible for HUD homeless assistance by aligning eligibility criteria with those of other federal programs. Good news is that Lisa Murkowski (R-AK) and Senator Kamala Harris (D-CA) are the latest U.S. Senators to co-sponsor S. 611. Pennsylvania's U.S. Senators Casey and Toomey need to sponsor S. 611. Yesterday, the Pennsylvania House of Representatives approved a bill that would establish work requirements on Medicaid recipients. If this bill passes the Senate, "able-bodied" adults receiving Medicaid would need to work for at least 20 hours per week, look for a job, or participate in job training to qualify for Medicaid. The "able-bodied" definition excludes full-time high school students, pregnant women, people receiving long-term disability benefits, people under 19 or older than 64, prisoners, and residents of mental health institutions. Under this definition, however, people who lose their job or hours while getting treatment or recovering from surgery would not be covered. Neither would people who can't find a job because they can't access childcare or transportation. Qualified workers and people exempted from the requirements would still have to submit paperwork and medical verification, which will take time and cost money to the Commonwealth. Your vote matters. 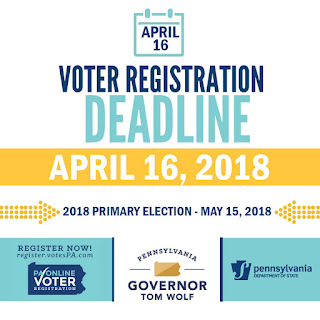 Make sure you are registered to vote before April 16, 2018. 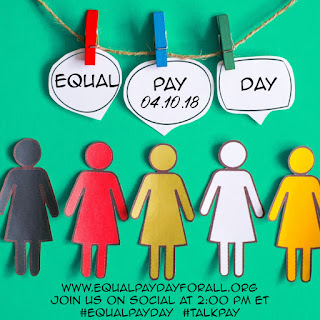 On April 10, we "celebrate" Equal Pay Day, the date when women's earnings catch up with men's earnings from the previous year. And, in an era where mothers are increasingly the breadwinners in a family, we need equal pay now more than ever. 42% of families rely on mothers to earn at least half of their families' wages. An additional 22% are considered "co-breadwinners," which means they bring in at least a quarter of the money seen by a family in a given year. When these mothers - or anyone - is underpaid, the entire family suffers. In 2015, the National Women's Law Center calculated that the wage gap amounts to annual loss of $10,876 for women. That adds up to five months of groceries, three months of rent and utilities, three months of child care payments, four months of health insurance, four months of student loans, and seven tanks of gas. Today marks the 50th anniversary of the assassination of Dr. Martin Luther King, Jr. 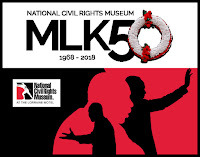 The National Civil Rights Museum has put together a page dedicated to Dr. King, his legacy, and ways we can continue that legacy today. You can also follow today's events live, follow NPR as they "livetweet" the day as it happened, or follow the hashtag #MLK50 on social media to see what is happening in your area.